The white and flash red S15 Adidas Pro Tank squash top will please you with its racer back, its fitted and slim fit and its climacool technical material. 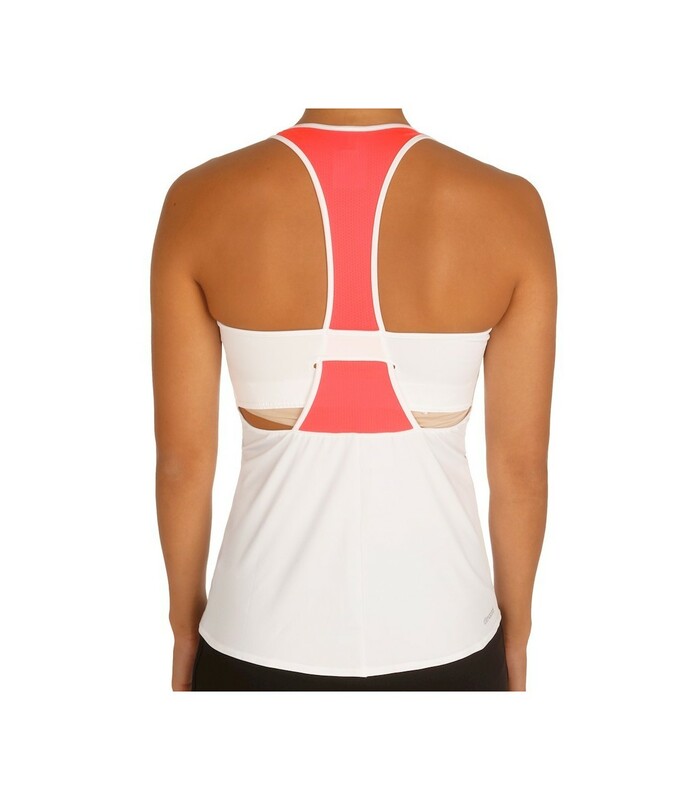 The white and flash red S15 Adidas Pro Tank squash top will give you style with its racer back. You will particularly appreciate the slim fit which adapts well to your morphology and its climacool material which allows you to play comfortably by quickly evacuating your perspiration. 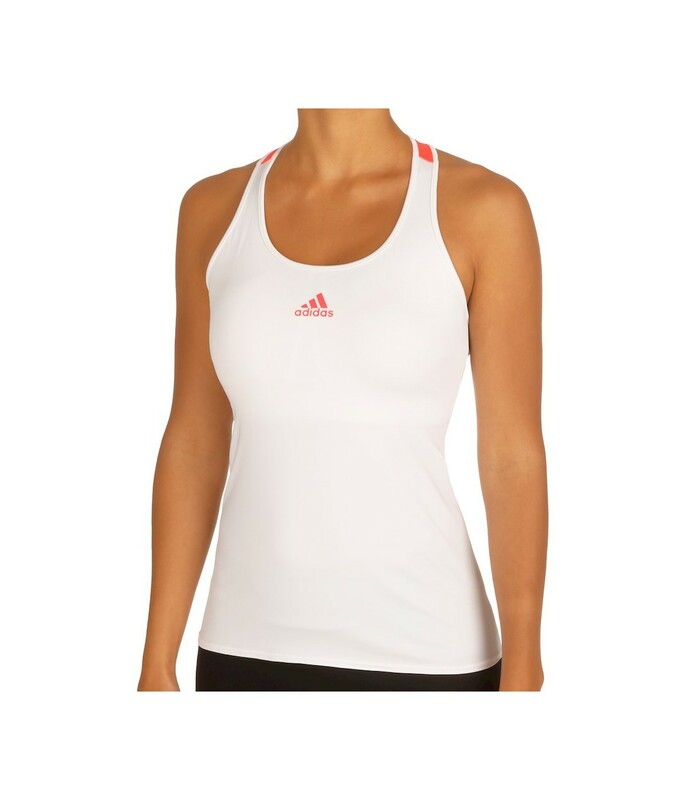 Made mainly of polyester, the white and flash red S15 Adidas Pro Tank squash top has a great elasticity and offers you a great freedom of movement. 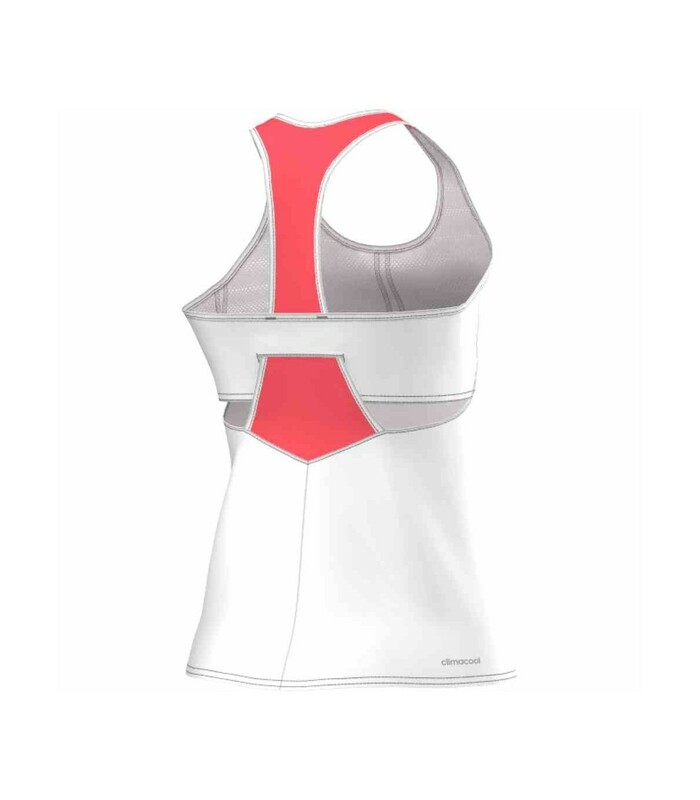 With its integrated bra, this premium squash top offers you a perfect fit. 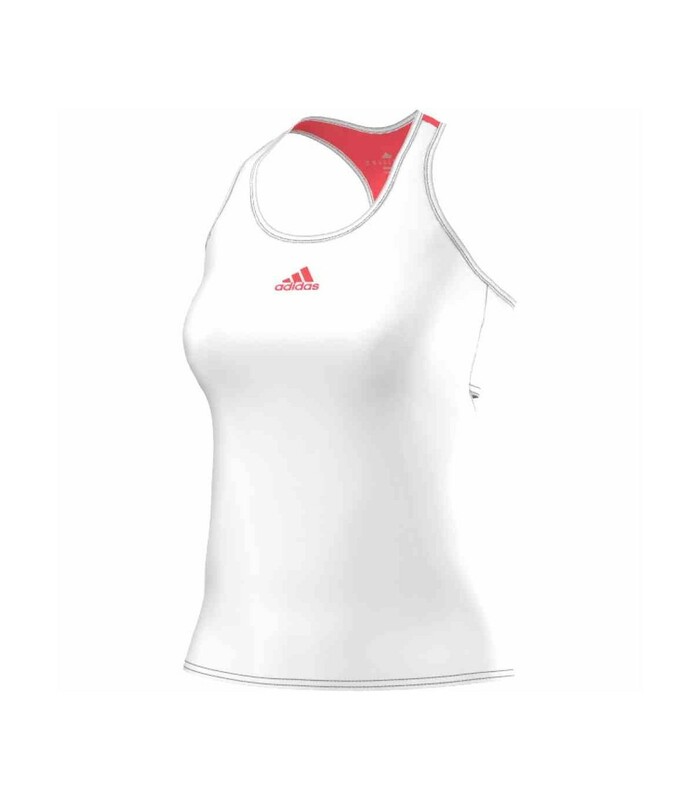 An elastic, absorbent and breathable material, an integrated bra, a slim fit, an optimal comfort, a racer back and a nice elegance are the main strengths of the white and flash red S15 Adidas Pro Tank squash top.